If you read science fiction short stories, the name “Paolo Bacigalupi” has become a familiar one recently, in no small part because it keeps cropping up during awards season: four Hugo nominations in five years, Locus and Sturgeon award wins, and general praise from all quarters. The work in short fiction is the foundation for Bacigalupi’s debut novel The Windup Girl, set in a world where aggressive genetic engineering sometimes leads to crop blights and food shortages — “calorie plagues” — and where that pretty girl you see walking down the street might not be human at all. As with Bacigalupi’s short work, The Windup Girl is already generating enormous praise (“clearly one of the finest science fiction novels of the year,” wrote Publishers Weekly, which gave the book a coveted starred review) and is already a contender for the next awards season. 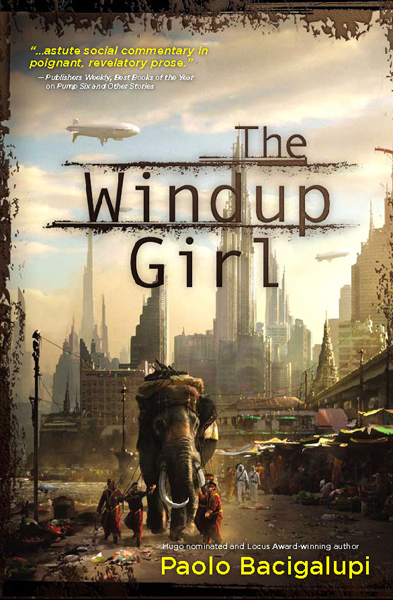 The Windup Girl is set in a future Bangkok where sea levels have risen and oil has run out, and where a company man named Anderson Lake is on the hunt for a hidden seedbank. The Thai Kingdom, unlike almost every other country in the world, has managed to fend off the calorie plagues with aggressive isolationist polices, and now—much to the surprise of the calorie companies, who control agriculture—the Thais are engineering their own competing seedstock. Lake wants access to the genetic gold mine of the Thai seedbank, and to find the man who is engineering their plague-resistant crops. Obviously, this isn’t in Thailand’s best interest, and mayhem ensues. The novel is partly inspired by couple friends of mine who are garlic farmers. Every summer they dig up their garlic crop, separate it into bulk garlic and braids, and sell the majority of it. But a few garlic cloves–the biggest, fattest, finest ones–get saved for planting the following year. The cloves they retain guarantee the future of their garlic farm, and the slow improvement of the crop as it becomes bigger, hardier, and more productive over successive generations. That garlic, grown on a single mesa in Colorado becomes more unique and more productive with every season. It’s the slow version of genetic engineering. Contrast with this with a major agricultural company like Monsanto or ADM. As opposed to a creating a unique product from a unique place, they’re interested in creating uniform products that will be sold everywhere. And because of profit concerns, they need to do it quickly, with the best technologies available. Of course, engineering something like Roundup Ready soybeans isn’t cheap, so they would very much prefer that farmers not replant the seeds that they develop, because it’s not very profitable if a farmer just keeps recycling the product s/he bought twenty years ago. These two versions of genetic engineering, both of them for profit, and both of them aimed at increasing crop quality over time, fascinate me. They each have merits, depending on what sort of outcomes you expect from food production, but around the time corporate research created something called the Terminator gene so that farmers could never replant their seeds, I started feeling a little concerned about where we were headed. Based on what I’ve seen of global food companies, and my own–admittedly megalomaniacal―impulses, I started scheming about how I’d run an international food corporation if I really wanted to get profits rolling. First, I’d want to get rid of competing crops. So I’d manufacture food blights to kill anything that wasn’t my own genetically resistant seedstock. Then I’d bring out the Terminator gene, so that no one could ever replant my patented seed. And then of course I’d jack up the price, and wallow in all that money. In The Windup Girl, the calorie plagues that some food executive created in a moment of inspiration have evolved and gotten out control. Corporate genehackers are just one step ahead of the next blister rust mutation. Crop blights have jumped from plants to people and now spread with horrifying speed through human populations, and as food becomes more and more centralized in its production and desperately needed in the world, agricultural corporations have become the most powerful organizations on the planet. Depending on your level of paranoia, this will seem either nuts or all too likely (just don’t put me at the helm of an international corporation). But profit scheming aside, the thing that fascinates me about complex technologies like genetic engineering is how many things can go wrong. Good ideas, even the best ideas, have unexpected and disruptive consequences, and I like seeing how those cascading effects work out in society and on people. As a writer, I love it when things go wrong. So The Windup Girl takes place in a world almost everything has. Read sample chapters of the novel. Read “Windup Stories,” two Hugo-nominated tales set in the same world (pdf link). This sounds great – every once in a while a “Bid Idea” catches me and I can’t wait to read this book. Mr. Scalzi, once again, thank you for never supporting other authors and being a megalomaniacal recluse who hoards words like others hoard toilet paper rolls or bars of soap. I just finished “The Windup Girl” the other day and still feel like someone kicked out the back of my head. This was a stunning book, and I hope it never, ever comes true. I hate how Scalzi never lets authors post about their interesting new works or the ideas behind them and certainly doesn’t give me a convenient list to use for when I can’t for the life of me find a new book to read. Geez. That said, I will have to read this although the idea behind it terrifies me, possibly because it is so close to something that could transpire. Cool. I’ll have to add this one to my list. My wife used to work for Seed Savers Exchange, of whom Monsanto and ilk were mortal enemies. So stuff like this has been on our radar for quite some time. And there’s been debate about the seed bank and all. Should be interesting. Sweet! I’ve been waiting for this book. I rarely buy hardcovers. I’ll make an exception with The Windup Girl. The artwork alone is awe-inspiring. 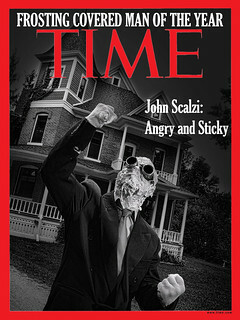 Thanks for this one, Scalzi. Every time I visit Whatever, my book budget gets shot to hell. Looks fantastic; can’t wait to read it. and all of them are available in multiple DRM-free formats. I’ve been enjoying Paolo’s short fiction even as I agree with the poster above who hopes it never, ever happens. (grin) But I don’t think we have anything to fear from ADM or Monsanto. Why it’d be like bankers forgetting the basic laws of economics and lending money to people who didn’t have the means to pay, then hedging it all with complex derivatives which flush the bad loans throughout the whole economy — and no one would ever be so stupid as to put trillions of dollars of the world’s economy at risk of meltdown like that. Paolo is a pretty awesome guy, and Windup Girl is an interesting book. But what Paolo didn’t mention (not that he had to) was that there’s a lot more than ag/biotech issues here. He gets into colonialism, sexual politics, class issues, the morality of revolutions, and a whole lot of other interesting moral topics. It’s an important book for the genre as a whole, and I strongly recommend it. Just received this in the mail on Monday. Now I’m so excited to read it, I’m going to have to move it up in my “to-read” pile. Confession time: I bought it 100% because the cover art is so beautiful and provocative, I’m thrilled to think that the content is equally compelling. 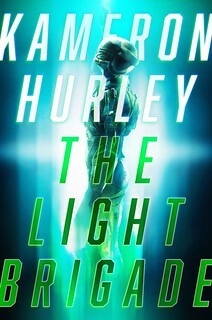 Yeah, this one leads my list for Hugo nominees. 2009 was a hell of a year for farmers in upstate NY. Spring strawberries were shredded by hail or drowned by repeated heavy rains; a lot of apple trees were hit just as the blossoms were coming on. Then late blight took out a huge chunk of the tomato and potato harvests. (Some reports put the blame on infected seedlings sold by “big box” stores. Perhaps in collusion with Big Ag…?) It’s a precarious way to make a living. I remember reading or hearing news stories about the difficulties experienced by organic farmers whose fields were adjacent to those where genetically-engineered crops (the accelerated kind) were being grown. They were in danger of losing their organic certification because pollinators, lacking any respect for the boundaries between properties, were carrying pollen from the Big Ag plants onto those in the next field. I think I also recall a story or two about Big Ag threatening to sue — not sure of the legal basis, maybe patent infringement? I bought this just the other day. And now it’s been bumped to the top of my To Read pile. You have links on the front of the article to Amazon, B&N and Powell; why not to Webscriptions? As an earlier poster said, every once in a while a Big Idea makes me say, “Yes, that please.” This is one of them. Sounds right up my peak-oil doomsayer believin’ alley. This looks great… I can’t wait to get my hands on a copy! and general praise from all quarters. That seems a little overstated. I can think of a number of criticisms-from James Nicoll, for example-about Bacigalupi. This one is on my list, and I love that cover. Annnnnd another one in my shopping cart. Thanks, John. Looks good. Will pick it up. BTW, there seems to be “ahead of ahead of” in the piece that might need an edit. I’m in the middle of reading this right now and it is, in addition to being full of mind-bending ideas, beautifully written. Serious SF, social politics, compelling characters and excellent prose. What more could you want? Aaaaaaaand now I know what to get the husband for his birthday next month. This sounds outstanding. Thanks for the great big idea! Now the first time I read about this book it made it sound like the author was totally against genetically altered plants. I had to comment that genetically altered rice was pretty much responsible for many people not going hungry. I’m pleased to see his views are deeper and more informed than the first article I read led me to believe. Thanks for the links #8 Geoffrey Kidd, I’m in. But a few garlic cloves–the biggest, fattest, finest ones–get saved for planting the following year. The cloves they retain guarantee the future of their garlic farm, and the slow improvement of the crop as it becomes bigger, hardier, and more productive over successive generations. That garlic, grown on a single mesa in Colorado becomes more unique and more productive with every season. It’s the slow version of genetic engineering. Um… no. This almost completely wrong. 1- Garlic is cloned. Successive generations sometimes differ due to mutation, but it’s an exceedingly slow process and one that operates too slowly for selection on the scale of a single human lifetime without artificial aid (mutagens and radiation in an attempt to get a useful sport). 2- Planting large cloves ensures that the plants will have lots of resources to draw upon, and so increases the chances that next year’s cloves will be large by giving the plants an early boost. But it won’t lead to any improvement in the stock, as selecting from diverse open-pollinated plants would. 3- Garlic is well-known for adapting to local conditions. This is not a genetic change, it’s an acquired physiological adjustment. It happens fully within less than a decade of repeated planting in an area and reverses/changes if the stock is placed into new conditions. Granted, plant biology was not the point of your post, but you really need to get a bio geek to look over your material, the same was Whedon needs to get a physics geek. Good distinctions. Thanks, bio geek. Unfortunately I have to wait till either the local library gets a copy or I can convince my brother to pick it up and send it along after he reads it. This book was on my “to read” list right after I read Pump #6. I go ’round-and-’round on terminator genes. On the one hand, I don’t see why a farmer shouldn’t be able to reserve seed from a harvest for the next planting. On the other hand, . . .
Well, let’s say we build super-insect-resistance into a corn plant. I’m not worried about that gene getting loose into the corn planted in the next field. I’m not worried (much) about that gene getting into the non-corn plants bordering the field. But, just suppose, Weyerhauser has that gene built into the trees on their lumber farms. I have every reason to believe that gene will spread to wild trees. That would destroy all of the insects that feed primarily (or exclusively) on that type of tree. Removing a link from the food chain is rarely a good idea. Meaning the terminator gene is, in that scenario, the only thing preventing catastrophe. Big Ag doesn’t quite roll off the tongue like Big Pharma does so how about Big Farma? damn it, its not on the Sony ebook site…. amazon/kindle must have gotten an exclusive on it… oh well, maybe later. I had the same problem until I went to the book publisher’s site which directed me to this link. Paulo: – I’m about knee-deep in Windup Girl now – was the significance of nightshade (plant family) a ‘shout out’ to your publisher?